A terrific place to see, taste and feel the local culture and food, the night markets of Taiwan should definitely be on every travelers’ list when visiting the beautiful Formosa. 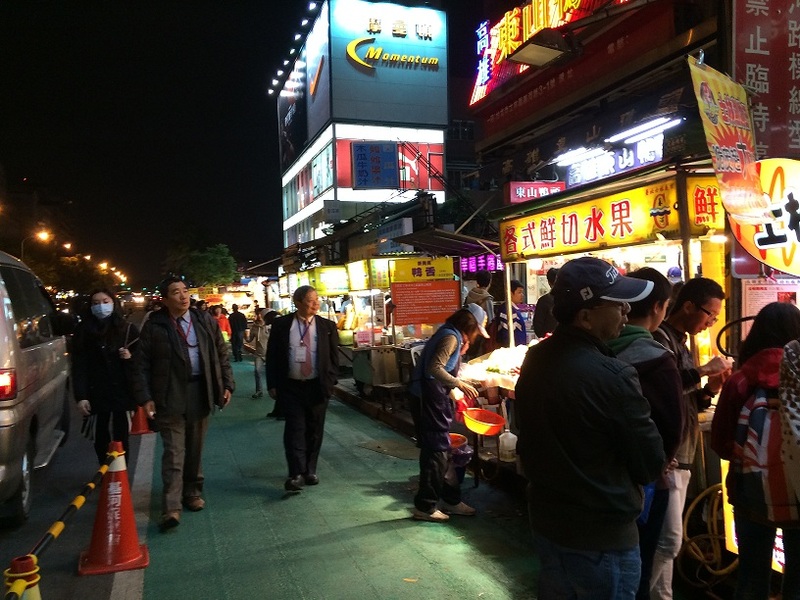 Besides the famous Shilin Market, there are also night markets in the various cities. From Taipei to Tainan, each night market represent a unique part of the Taiwanese culture. 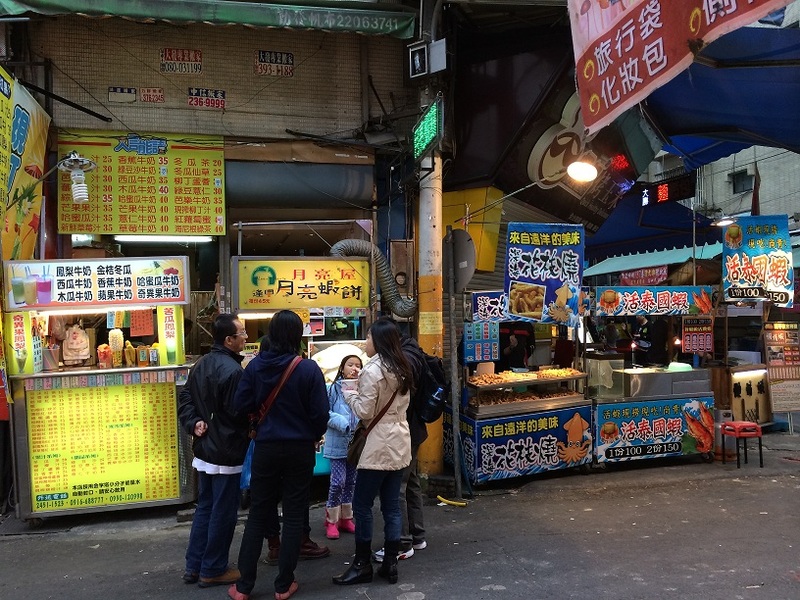 A visit to the famous Shilin Market is a must for every tourist to Taiwan! In Taiwan, night markets are street markets, where street stalls are set up during evening in a designated area. 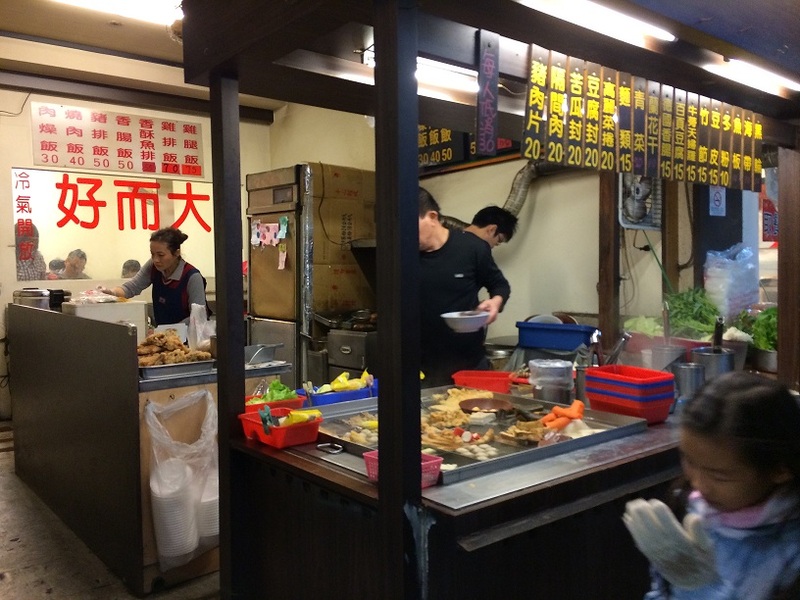 These street stalls sells a wide array of local street snacks such as the ever-popular fried chicken cutlet (炸鸡扒), braised pork belly rice (卤肉饭), smelly beancurd (臭豆腐), boiled dough snacks ( 關東煮), tea eggs (茶叶蛋), as well as street clothes, accessories, souvenirs, and specialty drinks known as “Bubble tea” (泡泡茶) – due to the chewy pearl-like jellies added to the drinks. The street stalls of night market. Food stalls usually open in the evening at around 6pm and the streets will get really busy and crowded by 8pm. 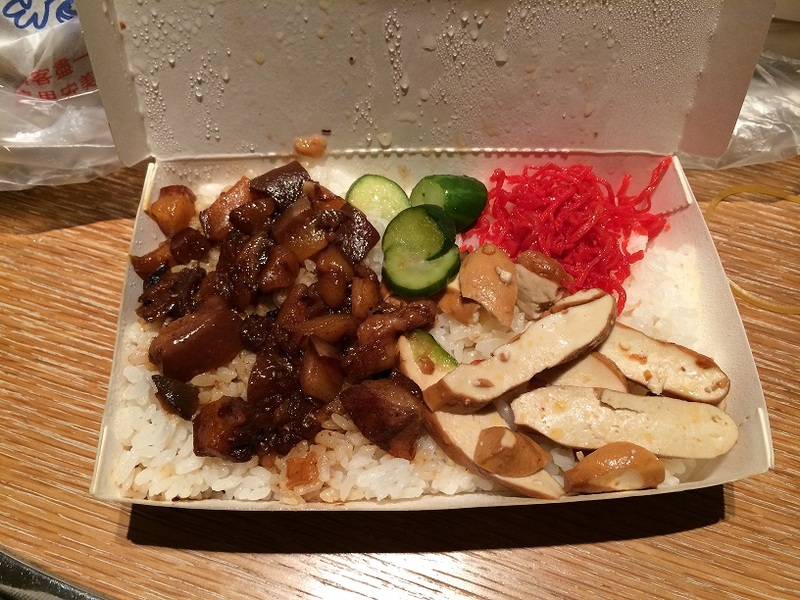 This is the street market version of braised pork belly rice (with pickles and tofu). It’s fattening but nice! Besides fried chicken cutlets, the night markets are also famous for all sorts of fried snacks. From fried hot dogs to fried mushrooms and asparagus, everything and anything can be fried. These piping hot street snacks are especially welcoming during winter. While you can fried almost everything and anything, you can boil them too. A healthier alternative to deep fried snacks will be the local 關東煮 – a local version of the Japanese oden where ingredients are cooked in a delicious hot broth. From dough items to vegetables, you can take your pick at the stall. 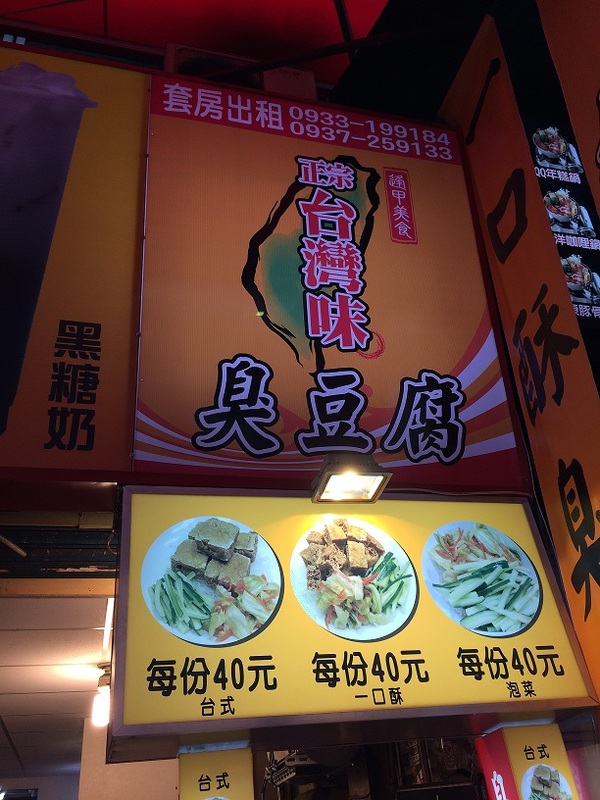 Stinky beancurd or smelly tofu (臭豆腐) is a famous street snack of Taiwan. A must-try! With over a hundred night markets currently in Taiwan, it is impossible to visit all of them during a short stay. 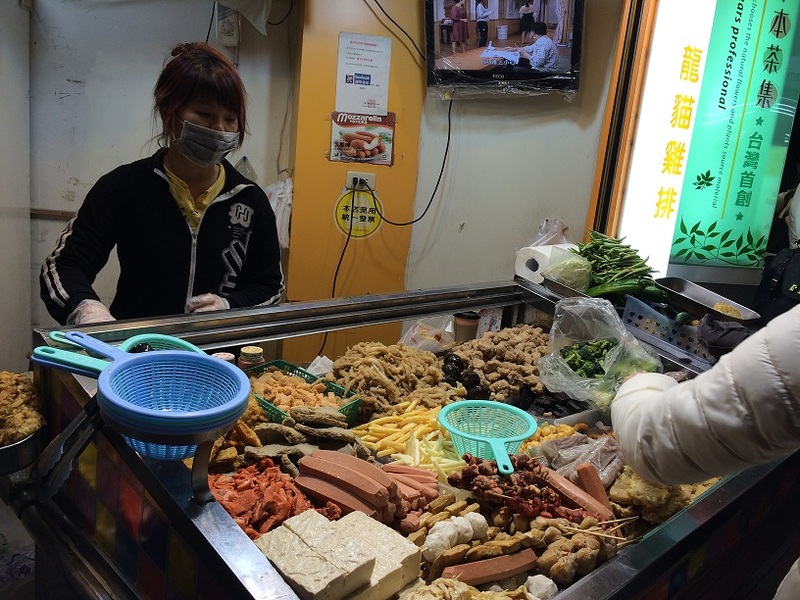 Therefore during this short trip we decided to first visit the two famous markets in Central and Northern Taiwan – Fengjia and Shilin Market. Located in Taichung, the Fengjia Night market (逢甲夜市) is one of the biggest and most popular night marketing in Central Taiwan. Located right next to the Fengjia University, it is not surprising to see university students loitering around when the night sets in. If you are a foodie, go with an empty stomach and you won’t be disappointed. Located in the capital Taipei, it will be impossible to miss this famous night market if you are in town. Easily accessible via the local city train service, Shilin market is well-known for its authentic Taiwanese street snacks, juices and specialty drinks. Some items that I’ve tried and loved include: fried chicken cutlet (炸鸡扒), white bitter gourd juice with honey (苦瓜蜜糖) , papaya milk (木瓜牛奶) and fried milk curd (炸牛奶) – which taste like BBQ marshmallow! 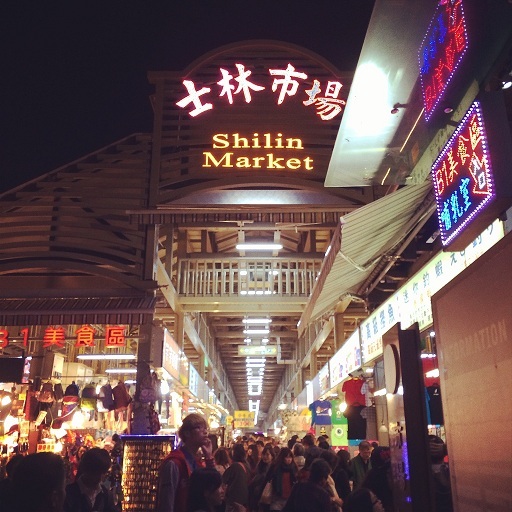 As for tourists looking for clothing, shoes, accessories and souvenirs, you can also find them at Shilin. Explore the inner lanes of the night market and you will find local designer boutiques which sells trendy street wear, sportswear stores and Taiwanese souvenir stalls. 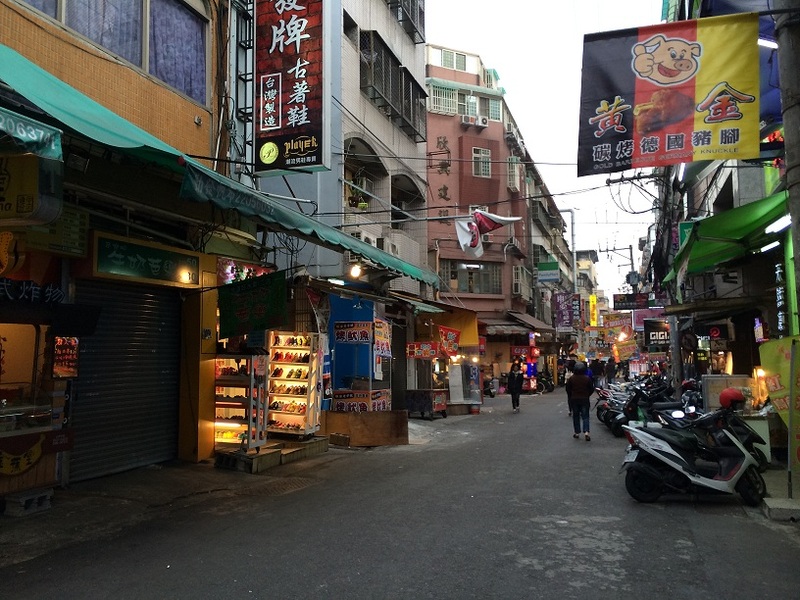 Northern Taiwan: Raohe Night Market, Shilin Night Market, Linjiang Night Market, Keelung Night Market. Central Taiwan: Fengjia Night Market, Tunghai Night Market, Fengyuan Night Market. Southern Taiwan: Liouhe Night Market, Rueifong Night Market, Kaisyuan and Jinzuan Night Markets (newly opened in 2013). Eastern Taiwan: Nanbin Night Market, Luodong Night Market, Dongmen Night Market. Night market has a long history that dates back to the Tang Dynasty in A.D. 836. During the Song Dynasty (960-1279), night markets played a central role in the Chinese nightlife. These markets were found in corners of large cities and some are even opened for 24 hours. During the Song period, night markets are also known to have included restaurants and brothels due its close proximity to red light districts. ps, It was great visiting the two night markets and I finally got to taste authentic Taiwanese street snacks! Because of the huge variety of street food, my mouth was practically munching on something every 5 minutes! As you walk on the streets during the cool winter evening, having warm food in your hands just feels so good!